Participating in Summer Reading Programs is a great way to keep your kids interested in reading and learning over the summer, and they can earn free books and other fun stuff too! 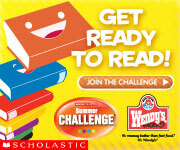 Scholastic Summer Challenge – a great way to motivate kids by earning points for reading. There are tons of resources, a Save the Children charity drive, and sweepstakes that you can enter to win books and other prizes. Barnes & Noble – for kids in Grades 1 thru 6, you can earn a free book after reading 8 and some locations also have a regularly scheduled story time (check find an event for your store). Half-Price Books Feed Your Brain – Stop by a Half-Price Books and CiCi’s Pizza where your kids can make money on reading! Kids under 12 can earn a $3 Half-Price Books gift card for every week they read at least 15 minutes from June 1 to July 31. Talk about a rewarding reading program! Pottery Barns Book Club – not just a Summer program, this regularly scheduled storytime goes on all year long on Tuesdays from 11 to 11:30 am. And your kids get a coupon ($10 off a purchase I hear) after attending 5 sessions and getting their booklet stamped. TD Bank Summer Reading – read 10 books and get $10! A great incentive if you’ve got this bank near you. Thanks goes to Baby Good Buys for sharing it with me. Borders Reading Challenge – get discounted items for kids under 12 who complete the challenge. You’ll get to choose a $4.99 Reading Challenge item (a savings of 50% off) when you’ve completed your 8 books. HEBuddy Reading Club – read 10 books and earn a free t-shirt and 20 point sticker. This is one that my boys and I will be doing because reading to your young children counts too! Of course check your own local library for their Summer Reading programs and check back at SummerReading.org for more resources. 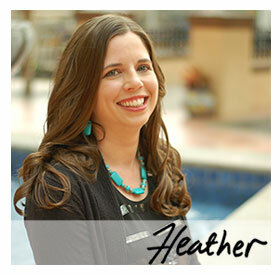 I know there are more reading programs out there, and I’d be thrilled if you leave a comment to share the reading programs you’re excited about. Remember that it’s easy to leave a comment because I accept comments from “Anonymous” (but it’s always nice if you leave your first name to we can chat easier). You’ll find more free book resources on Freebies 4 Mom. Do you know if the HE Buddy reading program is ONLY for people in Texas? My kids are hoping to get a free Tshirt! Also, Lifeway Christian Bookstore has a reading program = if you read 10 Christian books you get to pick a prize from their box that sounds like it has a great assortment in it! We love our local library reading program! Great prizes, we love our librarians and this year my son is volunteering there as well! Which our library is giving them a free t-shirt, they had a pizza kick off party for the volunteers and they also will buy them 1 paperback book of their choice! Awesome program! Love our libraries!!! Our Cal State Fair has a read to ride program. Read books and write a small report to get ride tickets. I think they do it at other fairs. http://www.lacountyfair.com/2009/AttractionsCompetitions/documents/ReadtoRide09.pdf Totally worth it! Thanks for these links! Our library is doing one and altho' the prizes aren't that great…my 3yo daughter thinks they are—she gets her name on a star on the library's bulletin board! Thanks so much. I'm a new foster mom & can use every discount & freebie that I can get my hands on. Thankfully my foster daughter loves to read and for the first time is getting books of her own. This will really help. Borders has a summer reading program. Read so many books & get 1 of some selected books for $5, which is suppose to be 50% off or more. Great post! I used to have one complied from years ago! You did great hun! This is a great list and summer reading can be fun but as a year round tool with my homeschooled kids were use the site http://bookadventure.comThere you can get a list of books by skill (or even you can find quizzes on books you kids may have already read) to find at the library and then you take little quizzes on them and earn points my kids like the quizess because they are more fun then a test and earning points gets you little prizes in the mail even a subscription to Highlights Magazine it is run by a Sylvan learning centers but I have never gotten emails pushing me into buying anything. Thanks for the link, you’re the best! Super List. Thanks! Our local library system does a fantastic program for summer reading too and even kicks it off with a free fair at the local park. We love it! Awesome! *THANK YOU* for posting this info!I just called my local Half Price Books….they did this last year too…..despite shopping there regularly, I was unaware of this program. Great Post! Lots of great information!